Veteran Japanese publisher Koei Tecmo has publicly confirmed that it has software in production for Nintendo's mysterious NX console. The company - which worked with Nintendo recently on Hyrule Warriors - has clearly had some access to the NX previously. Last year, President and CEO Yoichi Erikawa was the first to confirm that the new machine will take the form of a home console. While this new announcement is hardly a massive shock, it does at least confirm that while Nintendo is holding back from showing off NX to the general public, it is working with third parties to ensure that when March 2017 comes around, plenty of software will be forthcoming. KOEI TECMO confirm that they are starting development on Nintendo's new console codenamed "NX". 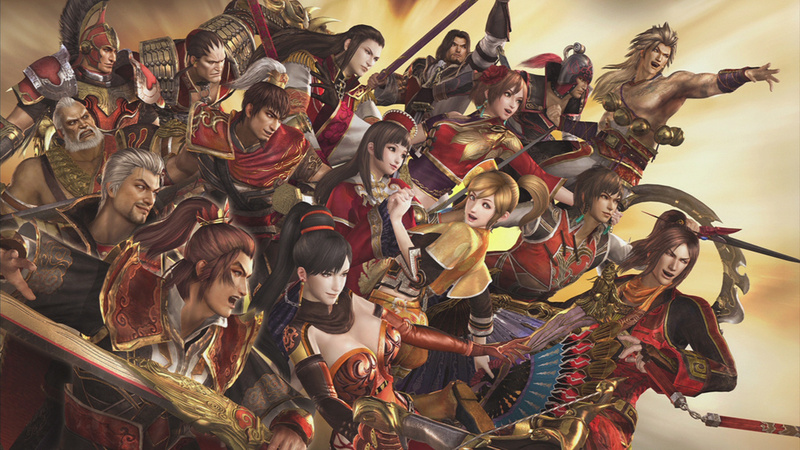 What would you like to see from Koei Tecmo on NX? Let rip in the comments section. Hyrule Warriors with a 4 level story for each of the games, each with at least 2 unique battle stages. Kinnd of like the Great Sea Saga in HWL - or as me and my friends call it - Hawlucha. A sequel to Other M with the necessairy improvements would be cool, i think there's a lot of potential in that. I'd also like to see another Hyrule Warriors (might be too soon), or maybe even something crazy like Mushroom Kingdom Warriors or as Benson said Fire Emblem Warriors (but they just did release a FE spinoff and a massive game). Ninja Gaiden, Dynasty Warriors, and Fatal Frame are certainly possibilities too. @Shigmin That's a good guess. Nintendo seems to like Team Ninja stuff, Toukiden 2 is a possibility also i suppose seeing how Omega Force is making it. I'm liking the idea of Mushroom Kingdom Warriors or Fire Emblem Warriors. Metroid-Themed Warriors game could also be pretty cool. Hmm. Fatal Frame 6 (exclusive to Japan, of course)? Port of Dead or Alive 5? Dead or Alive Extreme 3 (or whatever it is called) with Nintendo-themed outfits? @Sean_Aaron Metroid Prime: Federation Warriors? Still, I wouldn't mind if the definitive version of Hyrule Warriors was made HD, and included all the Legends DLC out of the box! I probably wouldn't get it, though, since I'm already so close to completing the first Adventure Map in Legends. @BensonUii Please no. Putting a Fire Emblem coat over the brainless DW gameplay would be a complete disgrace to the FE series. Someone let me know when Bethesda confirm the next elder scrolls game is coming NX, now that would be really good news. Give me some Dead or Alive, some Musou games, and some of the more interesting titles they've put out recently and I'll be happy. Hell, chuck in Crimson Sea 3 for good measure. I love musou games, so this is great news! I LOVE WARRIORS GAMES! and to get them in 120 fps and 4K with 4 player couch co-op will be amazing! Just wondering who the source ZhugeEX is - are they someone in / close to Koei Tecmo? Could be a good time for Fire Emblem Warriors, now that there's more than a handful of us in the fandom and all. It's obviously Metroid: Other M 2. Anything from these guys will be good. I enjoyed Hyrule Warriors, and I'm looking forward to seeing what these guys are cooking up for the next generation. Fire Emblem Warriors would be cool, but what we're learning from TMS#FE is if people aren't getting a proper Fire Emblem game on a home console, but merely something different with FE characters, they will complain - regardless of the quality of the finished product. FEW would get lambasted before people even play it. @PleaseUnderstan Mushroom Kingdom, Sarasa Land and Beanbean kingdom in place Wu, Wei, and Shu? That sounds like a self-parody of Dynasty warriors, that would honestly be awesome! But Fire Emblem and its continents of Akaneia, Judgral, Ylisse, Tellius, Elibe, Magvel, Valentia, Valm and that of Fates? It has more content and fits perfectly with the Warriorss Formula. @mjharper The issue with Tokyo Mirage is that it doesn't ''respect'', a.k.a. stay true to the essence of neither franchise it was supposed to be crossing over. People were excited as all hell about the prospect of SMT x FE back when it was first teased and you had all these portraits of mainline SMT characters and the Fire Emblem protagonists across generations. Instead, we got a Persona-like game about idols with a loose tie to Fire Emblem characters, so even though the game could arguably be good, the negative reaction is totally reasonable. I honestly believe a Fire Emblem musou game done right would have the immense majority of people on their toes to learn more. @luke88 Elder Scrolls is best on a PC so it has mods to fix all the bugs and issues Bethesda don't care enough to fix. Dead or Alive vs Senran Kagura. @Tucker After yesterday's announcement I'm doubting there's anymore retail Wii U releases after June outside of Color Splash and the cross gen Zelda. @Sean_Aaron Mushroom Kingdom Warriors would be very interesting. Not sure I want another warriors game, I'd like something a little different as I've played Hyrule Warriors to death and am looking to play Dragon Quest Heroes some day too. Come on, give Kid Icarus some love, it would be a perfect fit for this. Kofi Tecmo has almost always worked as a third party with Nintendo even as a second party even on Wii U. (Hyrule Warriors, Project Zero/Fatal Frame). More companies need to port games to NX. NX version of Hyrule Warriors Legends with all Legends DLC and some new content as well. A Pokemon Warriors game could be pretty cool ! @BensonUii I'd want Mushroom Kingdom Warriors, but Fire Emblem Warriors would be really amazing too. Also, I'm expecting some sort of HD remastered Hyrule Warriors for the NX because why not milk that franchise some more. It's best selling Warrior game to date, so they're gonna do it. Q) What would you like to see from Koei Tecmo on NX? A) Dead or Alive 6 would be what I'd most want to see from Koei Tecmo on the NX. With Dead or Alive Dimensions releasing on the 3DS, I had high hopes for Dead or Alive 5 to release on the Wii U. Sadly, it did not, but I can always hope for that to be the case with the NX instead. I'm a huge fan of Project Zero: Maiden of Black Water, as it is easily one of my favourite Wii U games, so I'd naturally want to see Project Zero 6 on the NX. Hopefully the NX will have a gyro-sensing and screen fitted controller like the Wii U's GamePad, as that set up worked wonders for Project Zero: Maiden of Black Water. A new Nintendo Warriors game would be nice, whether that would be a Hyrule Warriors 2 or utilising a different Nintendo IP. As for other games, well I've also been interested in the Atelier series for a long time. I never got around to trying it out (perhaps I should pick it up on the PS3, I believe I've seen it available in the pre-owned section) but if an entry were to be released on the NX, I'd more than likely purchase it. Of course, all this depends on whether I plan on picking up an NX. Admittedly that is more likely a when for me, but given my money situation right now, I'm unsure 'when' that would be. Still, any of these Koei Tecmo games would make it hard for me to resist purchasing an NX as soon as I can. We will get some form of warriors/musou no matter what. I want to see DOA so FG devs know the NX is viable and if Nioh stops by ... I won't be mad. Publicly confirmed as in "A guy on Twitter says so"? @Trikeboy while that is so true about Bethesda games, many people will play the buggy console versions. It can only help nintendo to have access to the money those games make. Well if team ninja makes a new game whit a nintendo ip i think they should make a reboot of The Mysterious Murasame Castle. As i think it would make a good game in the style of ninja gaiden. Nioh would be nice but was that not a playstation exclusive? @Arnold-Kage Hence me saying I wouldn't be mad if it jumped. However, exclusive doesn't really mean much anymore unless a game company backs the development. Either way aside from my warriors comment the rest of the post was wishful thinking. @Trikeboy agreed, but I don't have a decent desktop right now and don't plan on having one for several years. I've found all of the elder scrolls and fallout games to be perfectly playable on consoles. I enjoyed it. Definitely doesn't deserve all the hate it gets. Please not another Hyrule Warriors! Yeah, I had a bit of fun with it when I played the campaign with a friend. But still, that game was okay at best. I really regret paying 50€ for it. That game is worth 15-20€ at best. If Nintendo wants quality games at launch, they shouldn't consider Hyrule Warriors. Its concept and gameplay are just mediocre, not high quality. Hyrule Warriors Legends Ultimate Edition confirmed. Now with even more waifu! @Kevlar44 The only problem is going to be all those salty 'fans' who want a very specific game and will not accept anything that is not a traditional Metroid 6 or Metroid Prime 4. @mjharper TMS betrayed fans' expectations. It threw 3/4's of the FE series under the bus, and what characters do show up hardly resemble their mainline counterparts. Couple that with pretty much nothing SMT outside of some core gameplay features and an Idol theme that nobody had ever even dreamed of, and you have the disappointment. An FE Warriors game, as long as it recognized it's source material and didn't frontload on Akaneia/whateverthecrapFatescontinentiscalled, and it would probably do pretty well. There are quite a few in the fanbase who would be all for it. Ni-oh 60fps/1080p please. It's so good. @Grawlog There are dozens of us! dozens! I love Other M. It's a shame everyone turned rabid on it because a sequel could've easily addressed most people'd complaints. @PleaseUnderstan Bowser's Ambition? Genghis Khan: Mushroom Kingdoms? Uncharted Waters: Wind Waker? I wouldn't mind them working on a sequel to DQHeroes or just bringing the first and second one to NX. I'd hope more than just Koei Tecmo is working on games for the NX. I'd be down for Dragon Quest Heroes & Dragon Quest Heroes II being ported for the Nintendo NX.